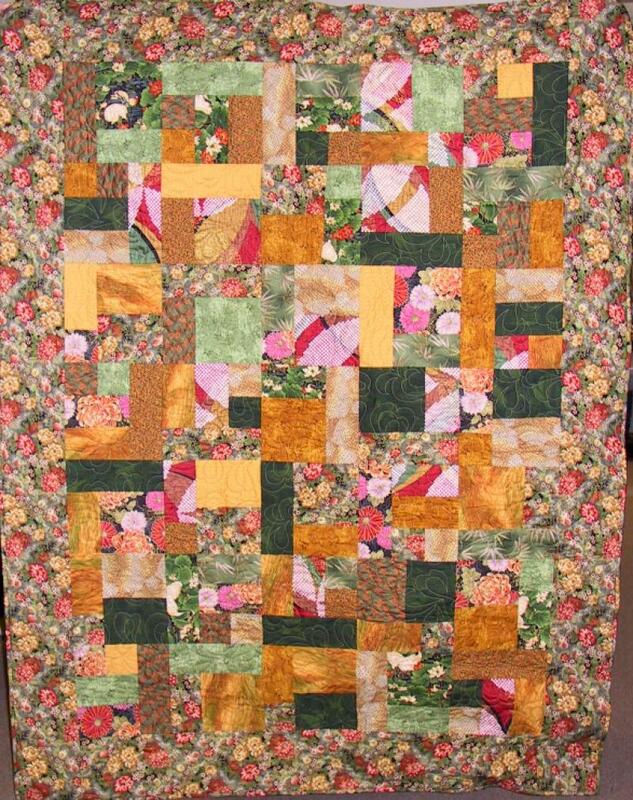 The On the Road to Japan quilt is made with the popular Yellow Brick Road pattern but features lots of wonderful fabrics from our huge collection of Japanese fabrics. The kit includes the pattern, all fabric for the top including two borders and the binding. Fabrics may vary slightly.